When billing families, you may have certain charges that you'd like to save in our system and add to invoices every so often. For example, field trip fees, pizza party funds, late payment fees, or T-shirt charges may not always need to be on an invoice, but these charges might occur often enough that you don't want to type them out every time. In these cases, our preset charges will save you a lot of time. From the website, go to the Billing section. 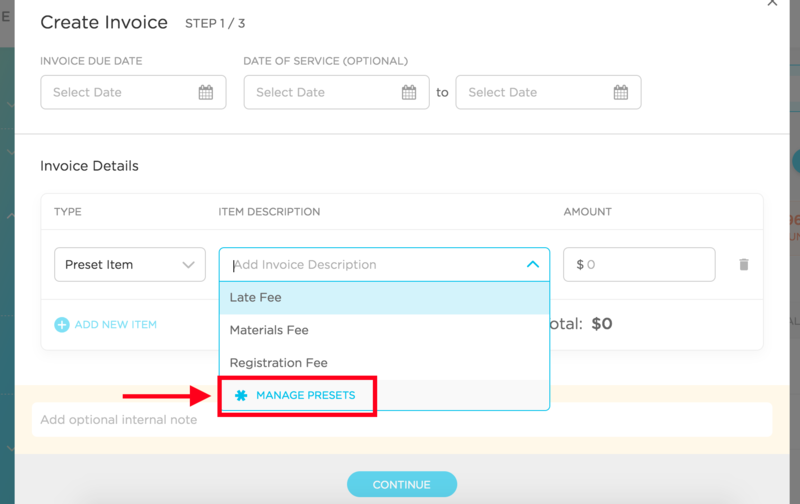 Preset charges can be added to or managed within both manual invoices or recurring plans. 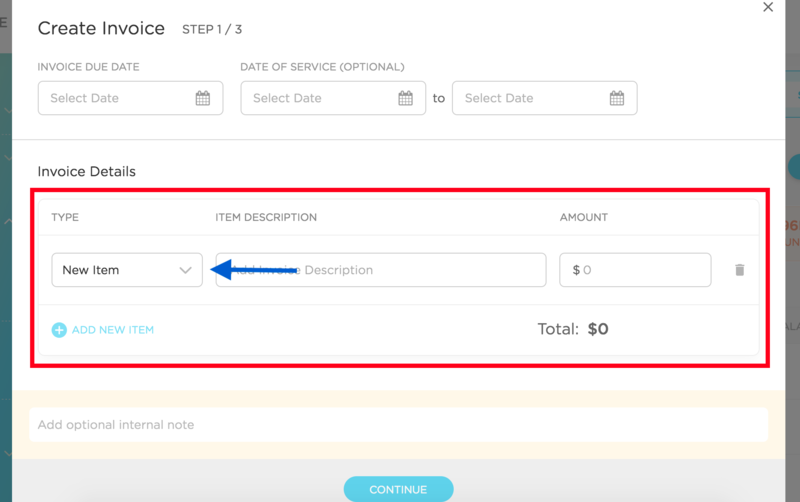 In this walkthrough, I'll use the manual invoice option. 1. Open the invoice and click on the New Item field; select "Preset Item." 2. Click on the item description field to view your dropdown of preset charges. From this menu, you can select a preset charge to add it to your invoice, or use the "Manage Presets" option to edit, remove, or add charges to your preset list. 3. While managing presets, use the blue "Add Preset" button toward the top to add a new preset. Click on the ellipsis (...) toward the righthand side to edit or delete your presets.